We hear a lot from tmd patients who have problems with grinding and clenching. 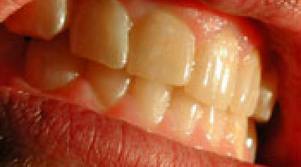 Bruxism is a condition in which you grind, gnash or clench your teeth. If you have bruxism, you may unconsciously clench your teeth together during the day or grind/clench them at night. If you do this at night it’s called sleep bruxism. Right now the medical community doesn’t know what causes grinding and clenching but there are things we can do to help mitigate it or lessen it. Set a timer for every 3 minutes and check to make sure you are not clenching or grinding your teeth together, once you found yourself not doing it you can slowly increase the length of time. Supplements like magnesium, they have a relaxing effect. If you are taking medications though please check with your doctor. Always check with your doctor before adding supplements or other medications. Biofeedback. There are devices that can be worn during sleep that measure the amount of grinding and clenching that you do, and interrupt it with a sound. Over time you learn not to grind or clench. One such device is SleepGuard. It is a biofeedback headband that also tracks how many times you clench during the night. 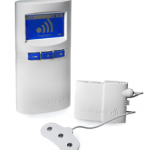 Another device is GrindCare (Update, Dec 2013: GrindCare seems to have gone out of business). GrindCare works by registering muscle activity and sending a mild electrical impulse that interrupts the teeth grinding. The GrindCare device comes with a lightweight electrode you place on your temple when you go to bed at night. If conservative methods are not working then consider talking with your doctor about ordering a sleep lab test to check for/rule out other sleep problems. Sleep apnea may also be related to sleep bruxism, and some doctors suggest that treating sleep apnea can help alleviate sleep bruxism. If none of these other options are working then please talk with your doctor about the option of medication, I know it’s not the first choice but sometimes it can be helpful if nothing else has worked. I’ve also heard that sometimes medication can be used to break the night time clenching/grinding cycle and then later you can wean off the meds. Again, discuss this with your doctor.